Additional Info: Sky TV with the full sky package. Washing machine and washing line on pitch. Please ring or email for further information and booking conditions. Please note that a £75.00 deposit is required to secure your booking and the balance must be paid in full 3 weeks prior to your stay. An additional £75.00 damages and cleaning deposit is also required, which will be fully refunded on completion of an inspection following your stay. This will be refunded 2 days following your holiday. Late bookings must be paid in full including the security bond within 3 days of booking. 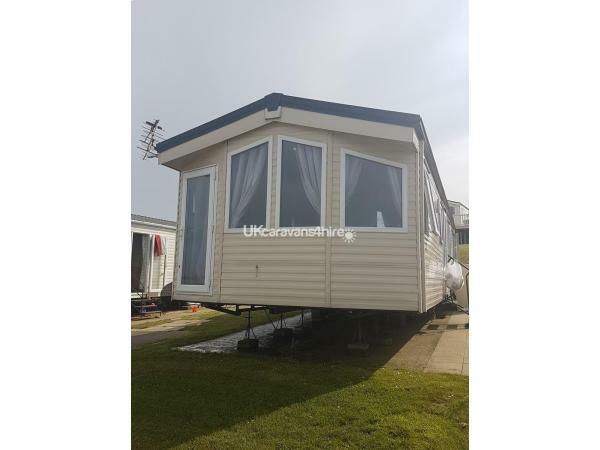 Caravan in pitched at Crimdon Dene caravan park on a premium pitch, with double glazing and gas central heating, pipe fed gas, and a private driveway. Park facilities include an on site shop, 3 children's play parks, a football court, laundrette, a restaurant with both inside and outside eating area, amusement arcade, indoor swimming pool, with jacuzzi and on-site entertainment, inclusive of bingo, kids clubs, cabaret, and live music in the parks club house. Park resorts also arrange annual on site family events, they are highlighted on the park resorts website. Local village is a 2 minute drive away, where you can access small family run shops and local fast food takeaways. Nearest town is in Peterlee- around 10 minutes drive, where you have larger supermarkets, banks, and high street shops. Hartlepool town centre is 5 mins drive away, and offers train routes to further afield, Edinburgh, Newcastle, Middlesbrough. 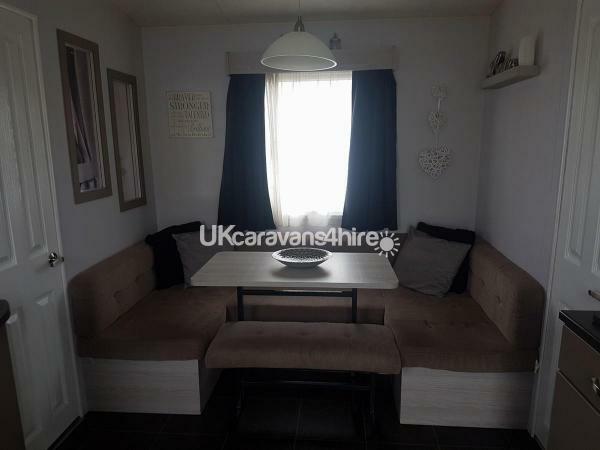 The static caravan has gas central heating and double glazing, Ramtech alarm system, a large outside metal container which houses a bush washing machine and outside dining table and chairs. There is also a washing line located on the pitch. The living area had built in seating which is comfortable and spacious. An electric real flame fire, with remote control for temperature setting, backlight and flame colours preferences etc. Accommodate a 42" Toshiba TV, Sony DVD player and a sky TV box with the full sky package. A family sized bathroom with large shower unit. This is a strictly NO SMOKING, NO PETS, caravan. A £75.00 deposit will be taken at the time of booking, this will be deducted from the total cost of your hoilday. An addittional £75.00 security deposit will be taken, this will be returned providing there is no damage and no addittional cleaning costs are incurred. Additional Info: Park facilities include an on site shop, 3 children's play parks, a football court, laundrette, a restaurant with both inside and outside eating area, amusement arcade, indoor swimming pool, with jacuzzi and on-site entertainment, inclusive of bingo, kids clubs, cabaret, and live music in the parks club house. No reviews found. 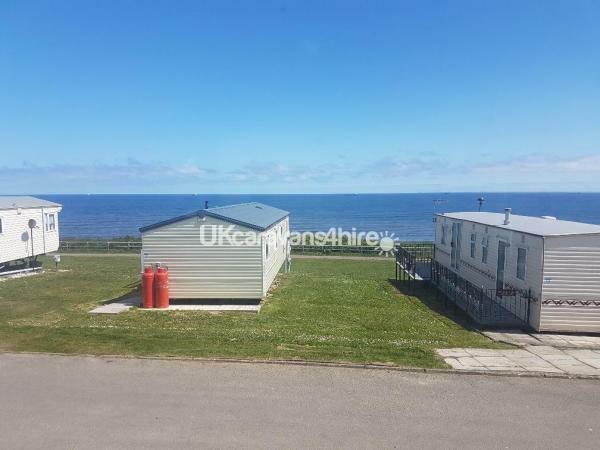 If you have recently stayed in this holiday home please leave a review, it only takes a few moments and will really help future guests when they are searching for holiday accommodation at Crimdon Dene Holiday Park.